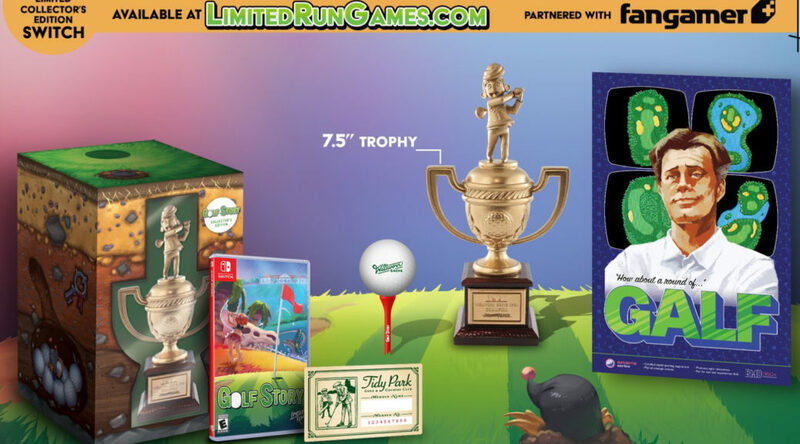 Limited Run Games is giving their Switch physical release of Golf Story the winner’s treatment. No word was given on the print run of this collector’s edition at the time of writing. However, the company did add that they have already printed 10,000 cartridges for the game in anticipation of the release. Those buying the collector’s edition can opt to get the game first, before the collector’s edition contents ship later.